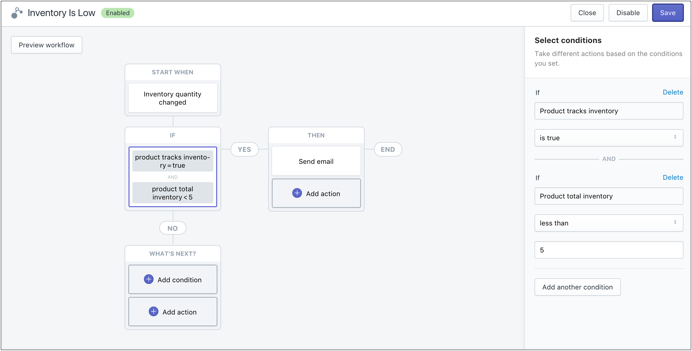 Flow allows you to create complex conditionals so that you can automate many of your existing Shopify Plus processes. 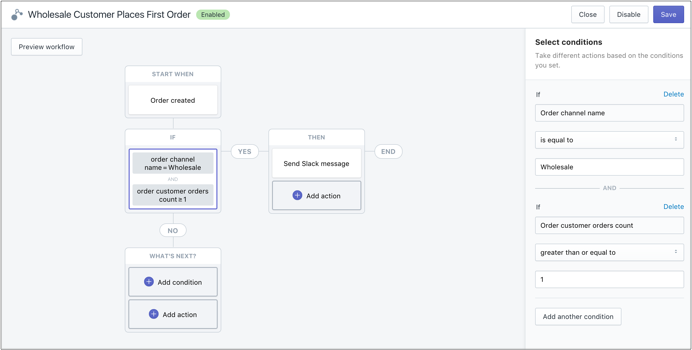 Create alerts that go to specific team members or slack channels as orders come in, refunds are generated and inventory quantities change (just to name a few). 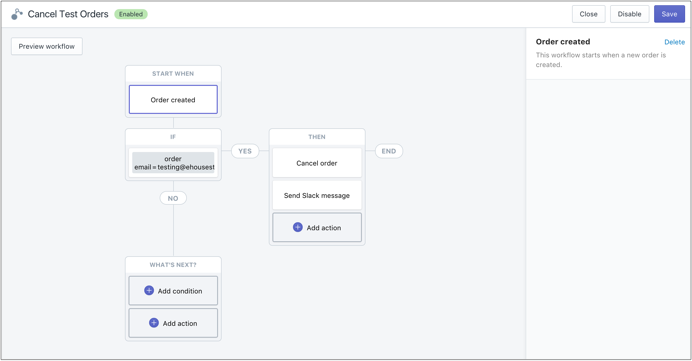 Creating each automation is super easy using Shopify Flow's visual builder. Make sure your top customers feel the brand connection by including a handwritten Thank You note. Just create an alert for your customer service team to write a personal note for customers who place high-value orders. Give your top customers free shipping when they spend $100 or more on 5 orders as an example. Just add a VIP tag to the customer's account. Then using Shopify Plus's Shipping Scripts give those customers tagged with the VIP tag free shipping on future orders. Make sure your test orders don't go through by automatically canceling orders that are placed using a specific email address. Ensure you don’t oversell products, by hiding products once their inventory goes below a specific threshold. Then Notify your team via email or slack when the inventory for any of your product's dips below a specific threshold so they know to place a reorder. Make sure you're not pushing ads to sold-out products by notifying your ad team when a product has dipped below a specific threshold. Build stronger wholesale relationships by alerting wholesale reps via slack when new wholesale users place their first order so that they can follow up with the account after. Decrease your fraudulent orders by canceling all orders that meet specific criteria – such as all international orders where the billing and shipping aren’t the same and the risk level is high. 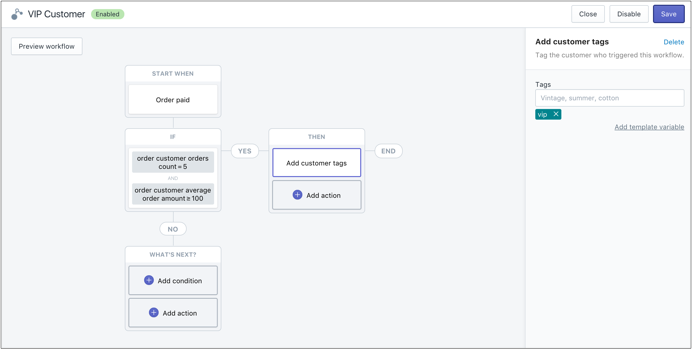 Flow is a great Shopify Plus tool that increases cross-team communication without any additional effort and allows you to run a more efficient eCommerce store focusing on customers instead of process. Read more about Shopify Plus Flow here. If you’re already a Shopify Plus customer and want to try Flow, contact your Success Manager to have it added to your store. Our eCommerce strategy, design, technology, and marketing services along with our full-stack development capabilities as a global Shopify Plus partner give you the ability to quickly launch your brand's eCommerce solution on Shopify Plus while delivering an exceptional customer experience.